PITTSBURGH -- Delphi Automotive has formed a partnership with Intel Corp. to use Intel chips for a technology package being developed for self-driving vehicles. Late next year, Intel will start delivering computer chips to run Delphi’s decision-making software – that is, the algorithms that decide how a vehicle should steer, accelerate or brake based on input from the vehicle's sensors. 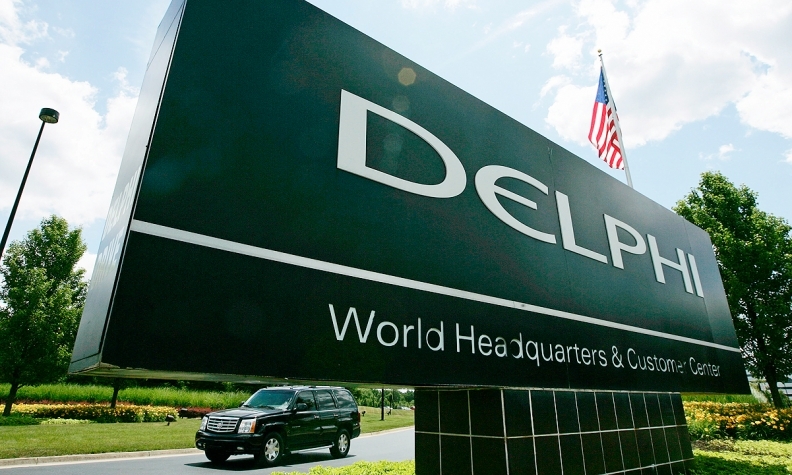 "We think they will be a great supplier for us," said Glen DeVos, vice president of Delphi's services business unit. "For us, it's a big step forward. It will allow us to accelerate development." Intel is a key addition to the web of technology alliances that Delphi has formed to create a soup-to-nuts suite of technologies for self-driving vehicles. Delphi already produces its own radar and cameras. In August, Delphi formed a partnership with Mobileye – a leading developer of obstacle-detection software — to interpret data produced by its sensors. Delphi also formed a partnership last year with Silicon Valley startup Quanergy Systems Inc. to develop lidar cheap enough for the mass market. Now, the Intel partnership gives Delphi access to computer chips powerful enough to figure out how a self-driving vehicle should plot its course. The Intel chips will run decision-making software developed by Ottomatika Inc., a Pittsburgh-based startup acquired last year by Delphi. Delphi plans to test this technology in a fleet of six self-driving vehicles to be used in a ride-hailing service next year in Singapore. Delphi also has confirmed that it plans to launch ride-hailing road tests in other cities, too.